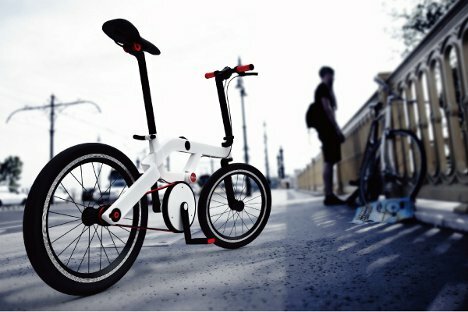 Foldable bikes are not known as super-easy to operate, either on the road or when folding and unfolding – but this one aims to change that perception. Space from designer Simon Hukaya is an urban folding bike that features wheels set slightly further apart than most similar bikes and a simple one-handed folding/unfolding mechanism. As most urban bikers know, taking your bike in the morning usually means you’re stuck taking your bike home in the evening, even if it rains or you end up at a bar that’s miles away from home. 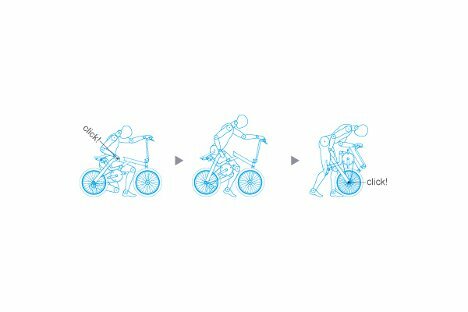 A folding bike is supposed to solve those problems by letting you take your bike on a train or in a cab, but most of them are not designed for agility and they’re incredibly fiddly to fold and unfold. 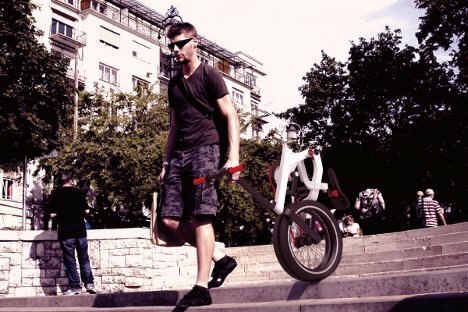 The Space features 20-inch wheels, up to three sizes larger than typical folding bikes. These make the bike more stable to ride and more agile in an urban setting. 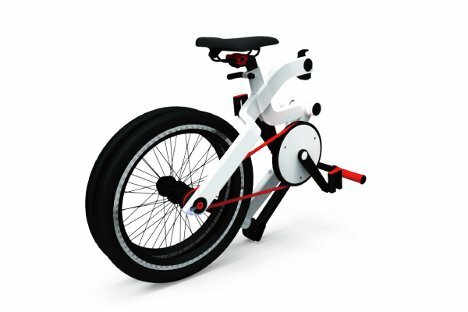 The folding/unfolding mechanism consists of a single button which, when pressed, folds the frame in half on a central pivoting point and allows the two wheels to come together. The rider can then pull it along behind him by the handlebars or carry it. So far, the Space is just a concept and there are no details on if it will be manufactured for commercial purposes. With its functional but adaptable styling it would definitely be a hit with the office bicyclist set. See more in Bikes & Cycles or under Transportation. October, 2012.